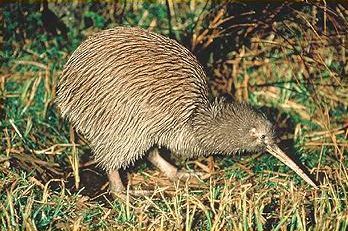 Here is a lovely Māori story about how the famous New Zealand Kiwi bird lost its wings. 'Kāo' is Māori for 'No'! One day, Tanemahuta was walking through the forest. He looked up at his children reaching for the sky and he noticed that they were starting to sicken, as bugs were eating them. He talked to his brother, Tanehokahoka, who called all of his children, the birds of the air together. "Kāo, Tanehokahoka, for it is too dark and I am afraid of the dark." Pukeko looked up at the trees and saw the sun filtering through the leaves. Pukeko looked down at the forest floor and saw the cold, damp earth and shuddered. "Kāo, Tanehokahoka, for it is too damp and I do not want to get my feet wet." "Kāo, Tanehokahoka, for I am busy at the moment building my nest." All was quiet, and not a bird spoke. And great was the sadness in the heart of Tanehokahoka, for he knew, that if one of his children did not come down from the forest roof, not only would his brother loose his children, but the birds would have no home. Great was the joy in the hearts of Tanehokahoka and Tanemahuta, for this little bird was giving them hope. But Tanemahuta felt that he should warn kiwi of what would happen. "E kiwi, do you realise that if you do this, you will have to grow thick, strong legs so that you can rip apart the logs on the ground and you will loose your beautiful coloured feathers and wings so that you will never be able to return to the forest roof. You will never see the light of day again." Pukeko, because you did not want to get your feet wet, you will live forever in the swamp. Pipiwharauroa, because you were too busy building your nest, from now on you will never build another nest again, but lay your eggs in other birds nests. 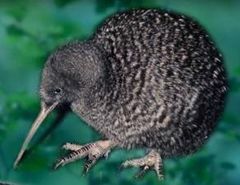 But you kiwi, because of your great sacrifice, you will become the most well known and most loved bird of them all."